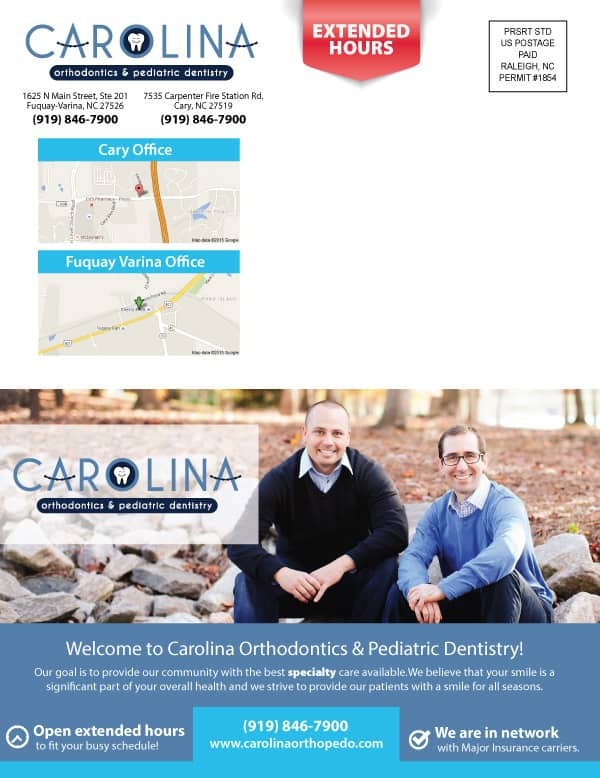 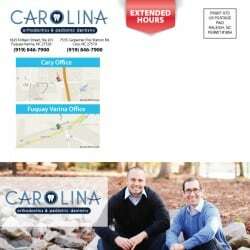 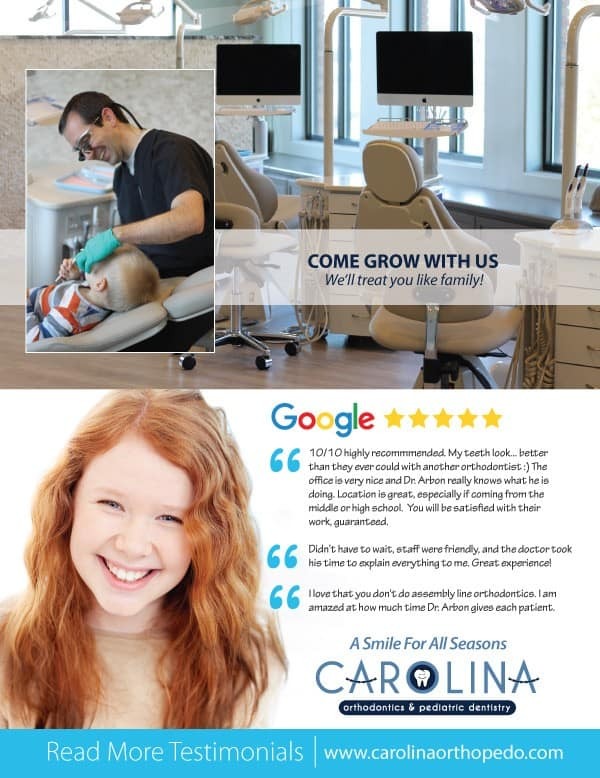 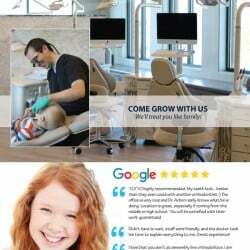 This brochure was designed for Carolina Orthodontics and Pediatric Dentistry,a local Cary, NC orthodontic and pediatric dentistry practice. 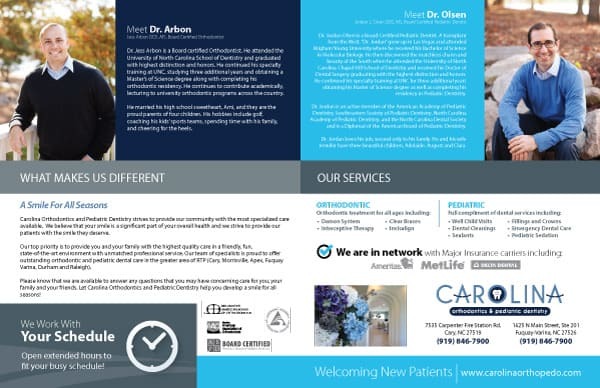 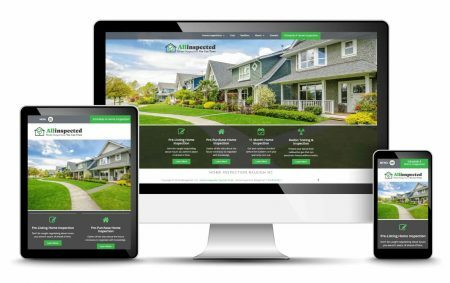 They needed a great brochure design to give mail out to surrounding potential new customers. 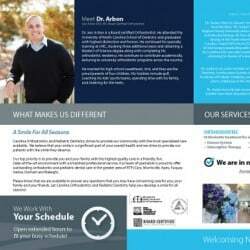 We designed this to have individual panels since the piece was going to be folded in half and then in half again for mailing purposes.